Since I absolutely love Halloween, it only made sense that I would find a Halloween-themed race to compete in. After careful research, I registered for the DFW Monster Dash half marathon. Even better, five of my friends followed suit. Racecations and running buddies always adds up to a great time. This race encouraged runners to dress up by holding a costume contest. Of course, I would've dressed up anyway. 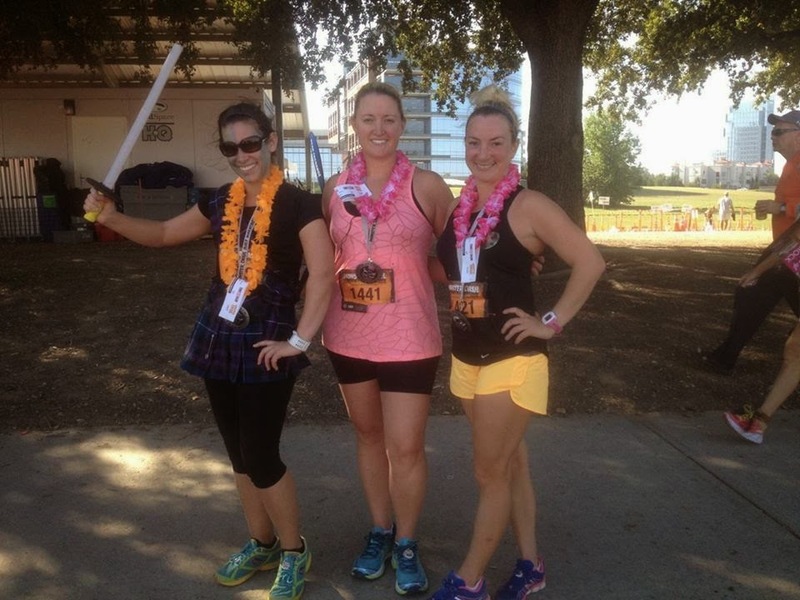 A couple months ago, I decided I wanted a warrior-type running costume just for this kind of event. I decided to dress up as William Wallace, more specifically his character rendition by Mel Gibson in Braveheart. 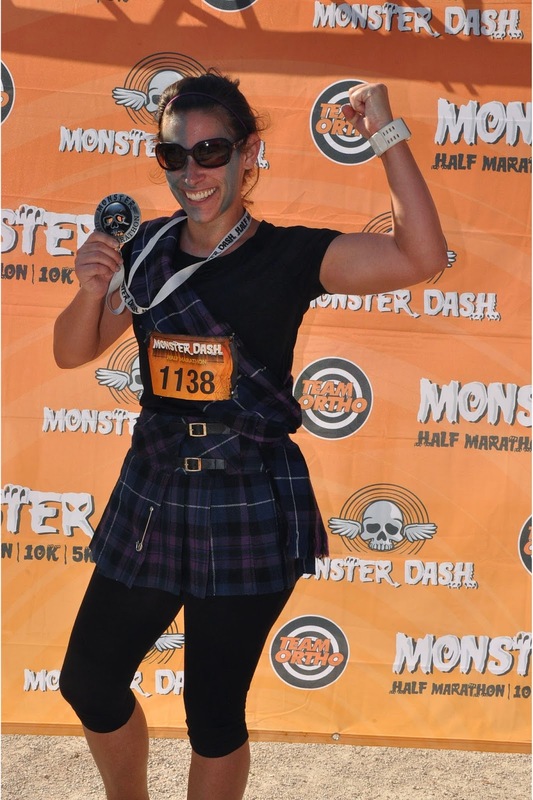 I scoured the internet for weeks until I found the exact outfit I would need: a mini-kilt, matching sash, giant safety pins (to hold said sash in place during a long run), and blue face paint. 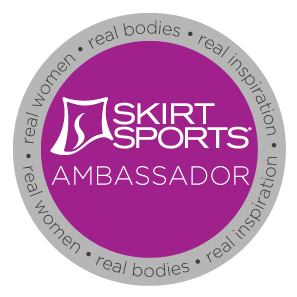 I donned these over black running capris and a black short-sleeved running shirt. I had high hopes of running with a foam sword, which I thought I would pull out at random intervals during the race and shout, "FREEDOM!" or "HOLD! HOLD!" But, I decided against that as I really couldn't figure out a great way to attach the sword without bothering me. Still, the costume turned out great and many runners and volunteers recognized the character I was emulating. Also, it was just plain fun to paint up and dress up. The race started, and I was flying through the miles at a pace I don't usually keep up on my long runs. I stuck with my pace group leader and he was great conversation, which further took my mind off the miles. Since the race advertised a Gu stop at mile 7.5, I went ahead and ate my own Gu just after mile 5, planning on taking the race Gu at mile 9. Both of these were to fuel my entire 13.1 miles. However, there was no Gu stop. They never handed out any sort of fuel like they advertised. So, instead of being fully energized the whole run, I was starting to crash around mile 9. The 80-degree heat and lack of shade didn't help matters. I hit the wall, hard, at mile 10.5 so much so that I had to walk. I was shaking bad and my skin was cool and clammy. I was starting to feel dizzy. Luckily, I was near a water stop, so I downed three cups of water and one cup of Gatorade. I felt it would be smartest to just walk until I felt better. I would rather finish with a slower time than pass out and get a DNF (did not finish). I wasn't the only one to crash. All of my friends ended up slowing their paces dramatically as well. We all finished about 10-minutes slower than our goal paces. It seemed like all the runners around me were dropping into a walk. You could just hear moans of ,"Too hot" and "Need shade" all over. That made me feel a bit better, to know I wasn't the only one who was dying in the heat. Still, I persisted and pushed forward. I even gained enough strength to start running again (seeing the photographer was great motivation), and I finished the race at a run. Seeing that finish line before me motivated me to kick into gear and pass the woman I had been chasing since I fell into a walk. It felt great to finish that race! Even though I didn't PR, I did get my second fastest half marathon time, 2:24:12. And I'm proud of that. It was a beautiful race. It would've been a fast race, but the heat turned it into a challenge. And I faced that challenge and came through. Overall, I really like running with a pace group. I'd like to think in better weather conditions, I would've stuck with them and finished within my goal. The course was gorgeous and a welcome change from the routes I've been running in training. The post-race booths and festivities offered a nice distraction from the post-race soreness. I love shopping, so I enjoyed browsing the running-related merchandise. I especially enjoyed the free bottle of chocolate milk at the finish; it was a great way to refuel. Aside from the heat and the no-Gu stop, I had a great run. 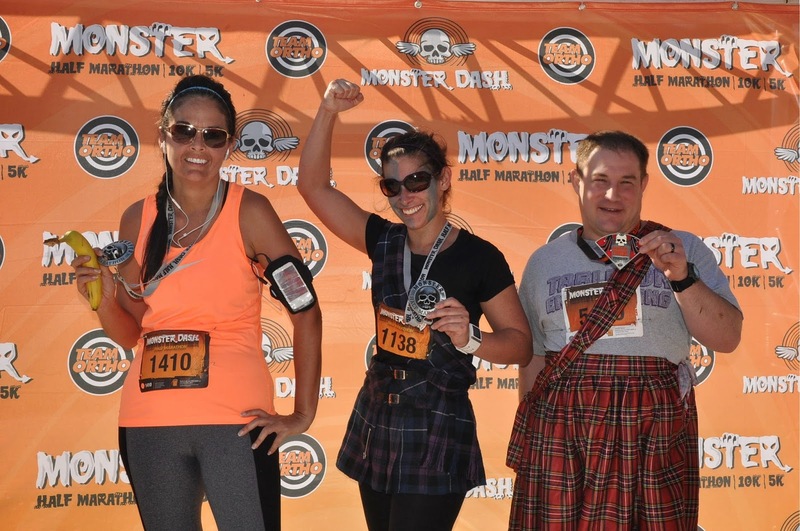 I recommend the Monster Dash to anyone who enjoys Halloween and running. I also recommend they dress up--it makes the experience even more festive. 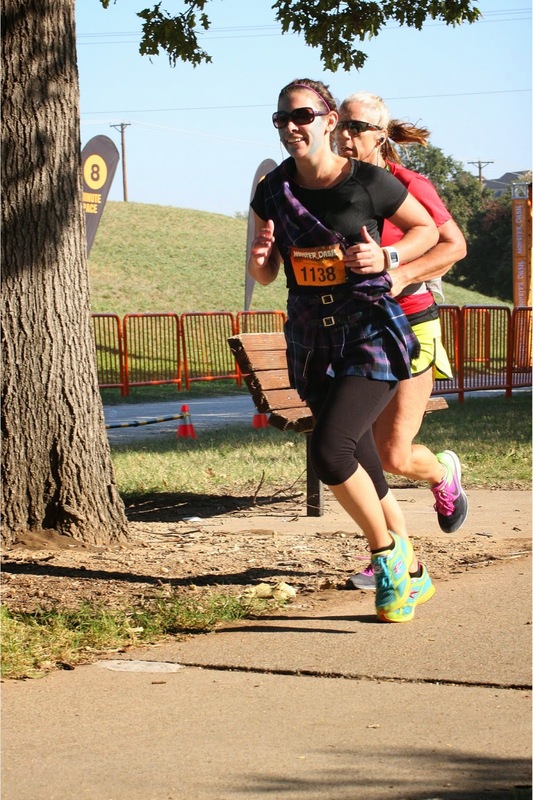 Great race, great company, and a great way to burn off all the trick-or-treating calories! Running a costume race will continue to be a Halloween tradition for me.